We took them to the cornfest the day after, many people were amazed. 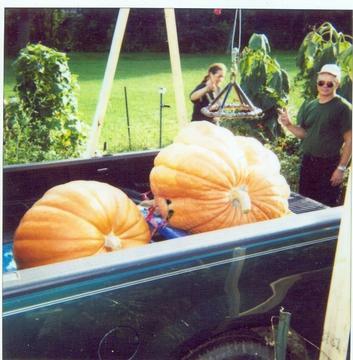 I told them about www.Bigpumpkins.com and they went home to check it out. Some people tried to talk us into donating them.